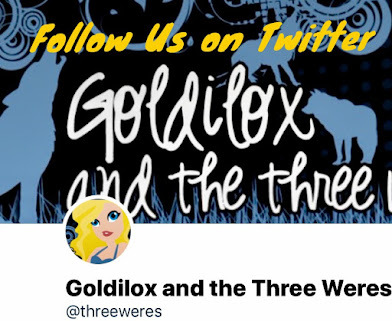 You all know how much we love Ilona Andrews and her Kate Daniels series here on Goldilox and the Three Weres so of course it's one our most anticipated books of September. I'm so excited and scared for this book at the same time. I'm excited because Yay! new Kate book! I'm scared because the last few books have put me through an emotional wringer. The last book made me bawl. That being said, I'll be reading this as soon as I get my hands on it. You might have noticed we're big fans of Stacia Kane's Downside series around here. 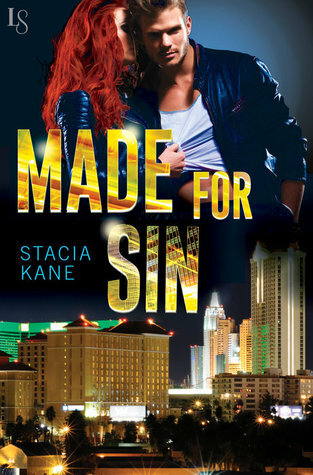 Made For Sin is not a Downside novel, and is really nothing like one. 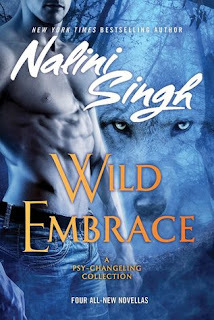 It actually has a lot more in common with Kane's earlier Megan Chase series. Las Vegas P.I. E.L. Speare has a demon inside him. He's not possessed precisely, since he's in control most of the time. But he has to continually feed it sins to keep that control. He's a tortured bad boy, but not by choice. His approach to his partnership with Ardeth is that "I want her, but I'm not good enough" that you see a lot in romances. Telling the story entirely from his point of view kept it from really feeling like a romance, but for the first few chapters I was waiting for the POV change. I'm a big fan of paranormal detective stories and I love the Las Vegas setting. I just feel like this is all something I've seen before. Admittedly not all in the same place, but I still feel like there's nothing new here. There are no twists in the murder mystery plot, though the ending was interesting and dark and sounds like the beginning of a series. I'd certainly give Speare another chance to wow me if it becomes one. Made For Sin is fine. I liked it. It was quick read that entertained me on a rainy Saturday afternoon. I just didn't love it like I wanted to. Last weekend Rose Red attended the world science fiction convention, WorldCon (aka MidAmeriCon II), and she has some thoughts. This year it was in Kansas City, MO which was within driving distance of where I live so I decided to go at the last minute thanks to some urging from some friends (Hi Mark and Shannon!). I had a ton of fun meeting up with online friends in real life and meeting some of my favorite authors. Sadly, I was awful about remembering to take pictures but I did take a few. 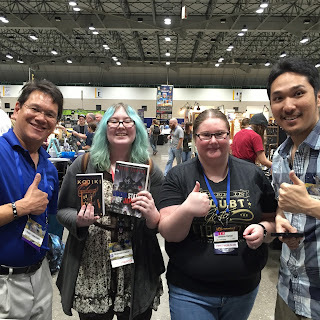 Overall, I enjoyed going to WorldCon but I don't think I'll ever go again. Let me explain my thoughts. This may end up being a long and kind of rambly post. Let me preface this post with the fact that this was my first SFF convention of this type. 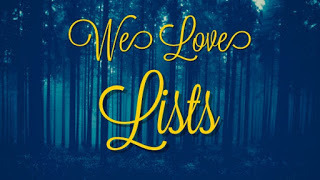 I keep an equal footing in the Romance, YA, and SFF book communities so I have attended several book conventions before but they've been RT for Romance and loads of YA book cons/festivals as well as a couple of literary festivals that span all genres (You all should go to the National Book Festival in DC if you ever get the chance!). I've also been to several comic cons for their literature tracks and I attend my beloved C2E2 every year. But the fact remains that I had never been to a convention that concentrated only on SFF literature and media. It was different in so many good ways, some weird ways, and some not so great ways. Let's start with the good, shall we? One thing I loved about WorldCon is that it is a con that lots of folks in the sci-fi/fantasy industry go to. I got to have several conversations with some of my favorite authors, online friends I've made in the SFF community over the years, and a couple fellow bloggers including Gretl. 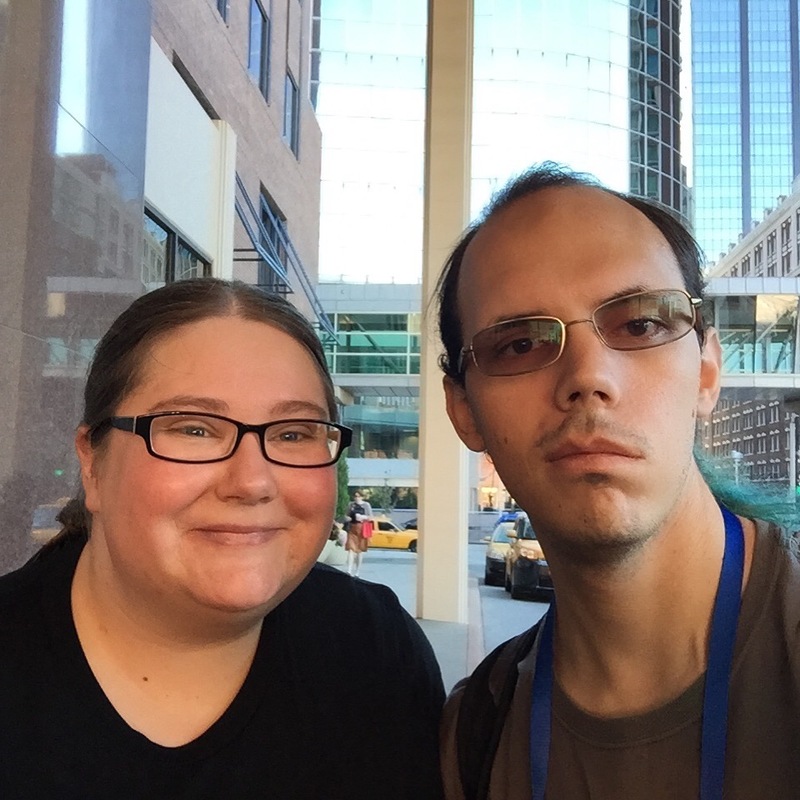 For me, WorldCon was about meeting up with people and not so much the programming. Let's talk about the programming. I was only at the con for Friday and Saturday due to work and other things so I really only went to panels on Friday because Saturday was filled with all the signings I wanted to go to. I found the panels I attended to either be hit or miss. Unfortunately, the were mostly misses. I went to panels that revolved around Steampunk and Urban Fantasy because that's where my interests lie. My favorite panels were the Is Steampunk Alternate History? with Beth Cato, Shanna Swendson, and Brooke Johnson and the Ace/Roc presentation where Anne Sowards highlighted what Ace/Roc will be publishing in the next 6-8 months. I loved the Steampunk Alt History panel! 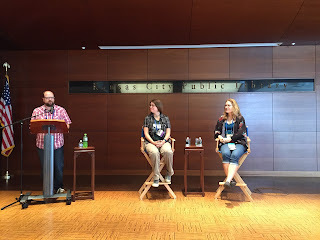 The authors discussed why they love writing steampunk and how much research goes into writing alternate history. They also discussed why gears are so popular to represent Steampunk and why it's important for the gears/aesthetic to do/mean something. My favorite thing about this panel was hearing how each author did research and how sometimes the story calls for altering a historical time line to fit the narrative ie like moving a major war up 30 years. I came out of this panel wanting to read and buy all the Steampunk books I could get my hands on. I'd highly recommend checking out these authors and reading their books. I can personally vouch that Beth Cato and Brooke Johnson's book are amazing! 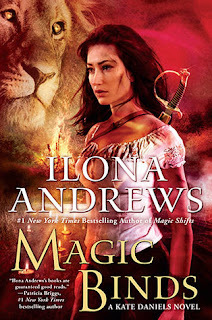 I haven't read Shanna Swendson's yet but I bought her Rebel Mechanics book because I'm completely sold on the premise. Plus, it was one of Gretl's favorite books of 2015. On the flip side, I went to another Steampunk panel and it wasn't nearly as good. 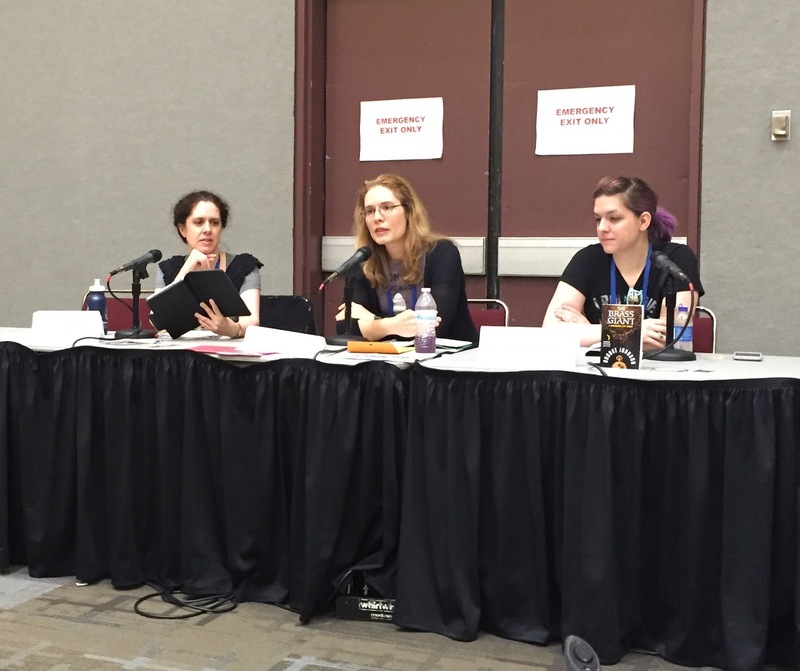 There were some good thoughts shared by some of the panelists and I adore listening to Gail Carriger whenever I get the chance but there was something off about it. I'm not sure I can put a finger on why it felt off to me. Part of it was one of the authors plugging their next book as something to check out because "they added the diversity". I think another part of why it was off was that a majority of the audience had never really read Steampunk. In fact one of the questions from the audience revolved around the fact that the person had never read the genre and wanted the panelists to explain why he should care. As I said, it just felt off to me especially after going to such a great panel earlier in the day. The other panels I went to were panels about Urban Fantasy. The first one was about enjoying the genre and I enjoyed it for the most part. This one wasn't so much the panel as it was one of the panelists. I enjoy listening to the thoughts of everyone on a panel but I'm not a fan when there is a panelist who overrides everyone else and talks more than everyone else. As I said, I enjoyed it for the most part but it would have been excellent if not for the one panelist. The other UF panel I went to was all about UF Myths and Legends and it was a great panel. It wasn't what I thought it would be at first but it turned out to be fantastic! The panel focused on how myths and mythology influence UF as the genre we know now and how different authors put their own spin on that mythology that makes them stand out from the rest. They even touched on cultural appropriation and how important it is to research the mythology and to talk to people who belong to those cultures so you don't offend a majority of those people and can be accurate as possible. I came away with a bunch of myths and legends I want to check out as well as a list of books to read because the panelists were awesome and I want to read their books! The best part was after the panel when I finally got to meet Chelsea Mueller who runs the Vampire Book Club blog. I've been reading VBC for years now and have been talking to Chelsea on Twitter for almost as long so it was awesome to meet her in real life finally! She was on the panel because her first book comes out this next spring. It sounds so awesome! You all should go check it out on Goodreads! Also, she's running a contest and giving away books if you add it to your to-read shelf. I got to sit and catch up with her outside the con suite later on Friday and it was so much fun! I won't say much about the Ace/Roc presentation I went to other than "OMG! They have SO many cool books coming out in the next eight months!". Also, Anne Sowards is an absolute delight! 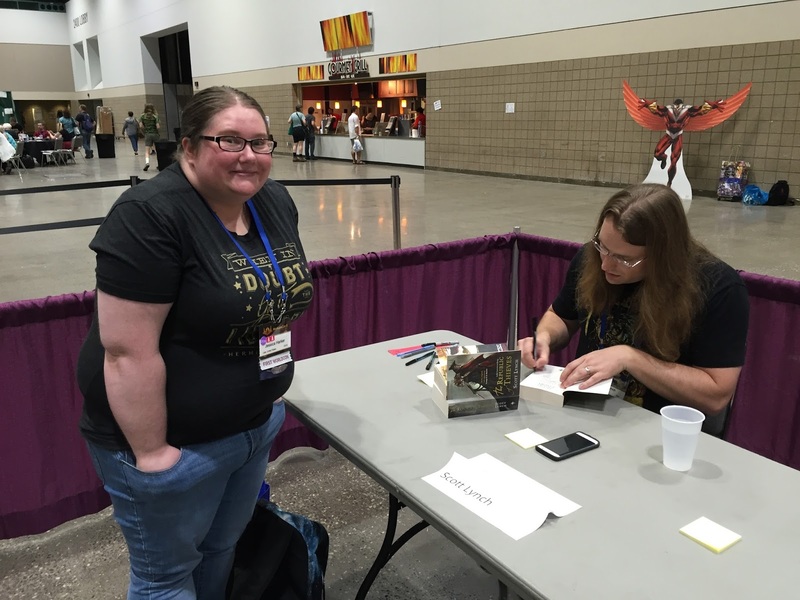 Saturday was all about going to signings and other author events. The first thing I went to was actually not an event at the con. The Kansas City Central library held an author event with Beth Cato and Becky Chamber that was just awesome! Also, the library is absolutely gorgeous! 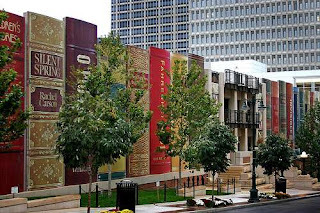 The picture of the bookshelf building earlier in this post is the parking garage next to the library. How amazing is that? The library event was utterly awesome! I adore both Beth Cato's work as well as Becky Chambers. If you haven't read their books, you should change that. 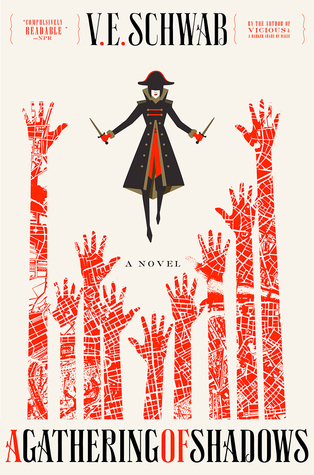 You all know that we love Beth Cato's Clockwork Dagger series here on the Goldilox blog. I just recently finished Chambers's The Long Way to a Small, Angry Planet and it was freaking fantastic! It's kind of like Firefly hooked up with an Ursula LeGuin novel and Star Trek to have a book baby and then made Farscape the godfather. 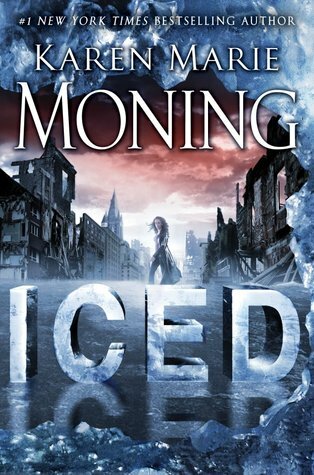 It's not fast-paced or action-packed but that didn't take away from my enjoyment of it. It's all about the crew's journey building this wormhole and how you can make your own family. It was amazing! It was cool listening to them talk and hearing how similar their work is even though they write different genres. After they talked about their books, they had a small signing afterwards which was awesome! The library was selling Beth's new book four days early and you can bet I was all over that! I'm so excited to read it! I may have fangirled overly much but I regret nothing. On top of meeting two amazing authors, I finally got to meet Gretl in real life at the event! That made my day! Unfortunately, I'm a spaz and didn't get a picture with her. 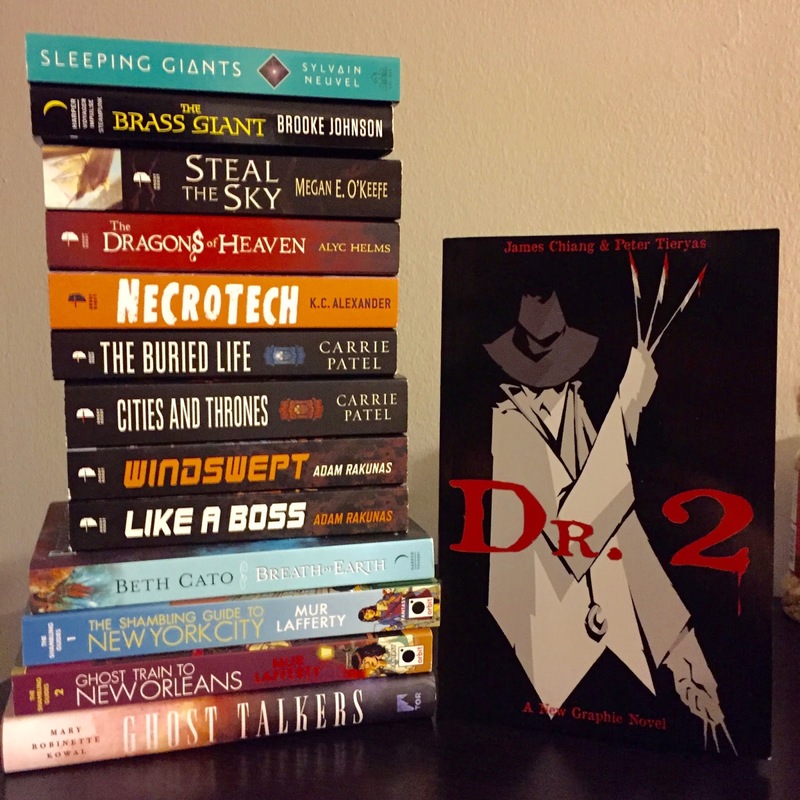 After the library event, my Con schedule was full of author signings. I met Gail Carriger, Scott Lynch, Megan O'Keefe, Carrie Patel, Mary Robinette Kowal, Alyc Helms, and Peter Tieryas. I also caught Max Gladstone after the Enjoying UF panel on Friday to sign my copy of Four Roads Cross since he had no scheduled signings at the con. 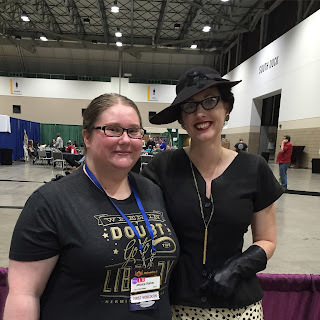 I didn't make it to her official signing but I caught Brooke Johnson while we both in line for Gail Carriger and she signed my copy of The Brass Giant. I didn't know she was going to be there but I ran into Charlaine Harris in the hall and totally fangirled at her about her Midnight, TX books. After all those signings and dinner was the Hugo awards, I opted not to go to the actual awards ceremony. Chelsea and I streamed it on my iPad at the bar. I definitely preferred that over going to the ceremony because we got to talk to people as we were watching it. Now that I've talked about the good parts, let's talk about the weird things I noticed about the convention. Coming from the romance community, I'm used to conventions that meld both the YA and Adult communities together flawlessly. 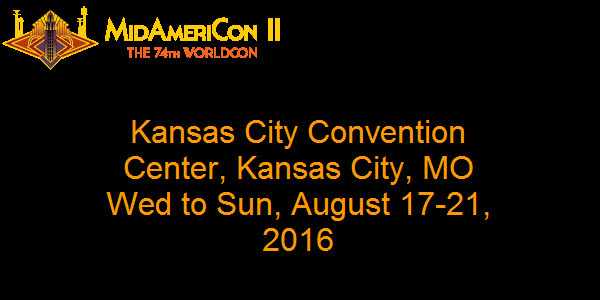 WorldCon did not do this well at all. In fact, to me, the con felt antiquated. The average con goer age was around 45 years old. I'm almost 30 and I was the youngest person by far in several of the panels I went to. 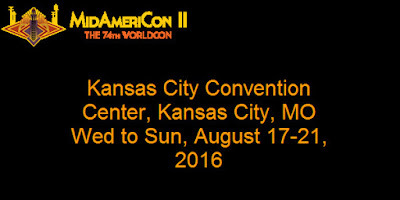 Not that the con having lots of older folks is a bad thing, it was just weird. 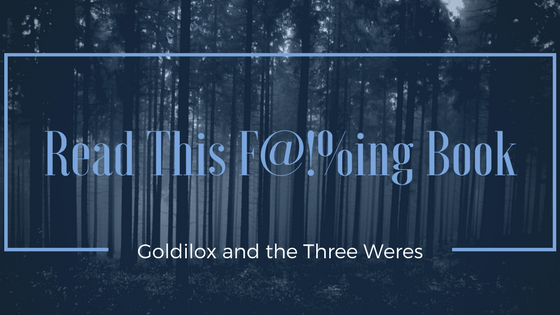 The thing that disturbed me the most is that books in the YA fantasy and sci-fi genres were essentially ignored. You can't have a representative convention if you're ignoring half of the genre just because they're YA. There were hardly any popular YA authors at the convention at all. 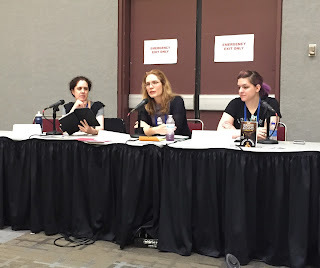 In fact, the only YA authors I can think of that were there were Shanna Swendson, Gail Carriger (who is most known for her adult books), and Rae Carson. It also seems short-sighted to me because young adults are the future of both genres. The YA books they're reading now are going to be what influences their books and writing when they become authors later. The few teens I ran into there felt excluded when I talked to them in the signing lines and that isn't the best way to gain a future membership that will add their voices to the community and add their opinions to the Hugos. I think the Con is finally taking steps in the right direction though because the Hugos are finally getting a YA award after years of debate. Hopefully, this can fix things so that SFF can have a more diverse community of both teens and adults like the romance community in a few years. The other thing I noticed and it is probably because I've been spoiled by all of the comic cons I've been to, but the dealer's room at WorldCon was very sub par. The booths were boring and there wasn't very many vendors period. The only major publisher with a booth was Angry Robot which is crazy for such a big con for the SFF community. All the conventions and festivals I've been to previously, I was able to buy books for authors doing signings there. To me, it was so weird to be at a major book convention but not be able to buy books of the authors featured on the schedule. Not that that stopped me from buying several books, but I definitely would have bought more if they'd been available. I had budgeted a lot more money to buy books than I ended up spending because the books just weren't there. Overall, I had a fun time meeting friends and authors at the convention but I'm not sure I'll ever go again. We'll see what happens in a few years. Maybe things will have changed enough by then that I will fill like going. There are some books that you start with the intention of reading a chapter or two and then going on to whatever else you have to do for that day. And then there are books like A World Without You by Beth Revis, which you open up and never put back down again until you're finished. This book falls into a genre I don't read a lot of, young adult contemporary, but also manages to bridge between contemporary and fantasy through the main character's delusions of super abilities. I absolutely adored this book and can comfortably say its one of my favorite reads of 2016 so far. I was so excited about how much I loved it, that I decided to give away a copy from The Book Depository! 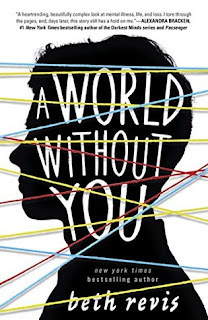 Check out my thoughts (spoiler-free) on A World Without You by Beth Revis and then enter to win your own copy on the Rafflecopter form below! In a combination of being excited to share my love for this book AND trying to grow the number of viewers at the new youtube book review channel, I thought I'd give away a copy of A World Without You by Beth Revis! You must be 13 or older and live somewhere The Book Depository ships to be eligible. Weres Wanna Know: Do you have a bookish hobby? 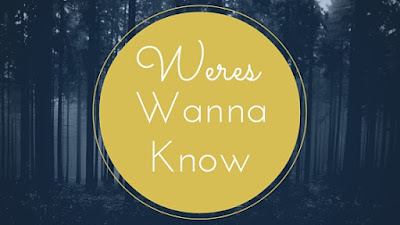 It's been a while since we've done a Weres Wanna Know post. It's also been kind of a rough week and I don't really want to have a serious discussion. So let's do something fun! Do you have a bookish hobby or a geeky collection? In high school I learned to make jewelry but I hadn't done it in years except for turning an occasional earring into a pendant. (Big earrings and curly hair don't get along.) Then about a year ago I started making book-inspired charm necklaces. You've seen some of them in giveaways on the blog. Now I'm working on adding other elements and figuring out what else I can make. I did a keychain recently. Here's the Harry Potter necklace I'm working on now. I'm trying to decide if I should add more to it. So what's your bookish hobby? 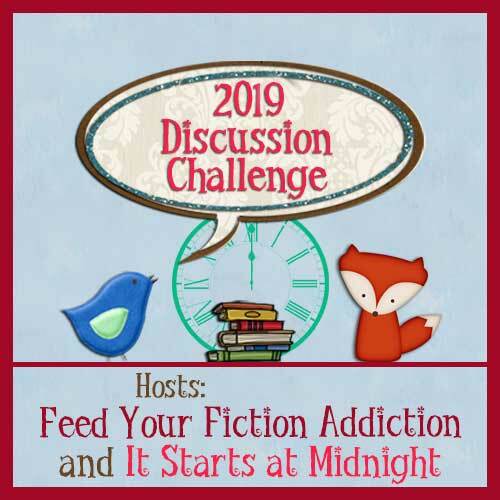 Do you write fanfic? Paint your favorite characters? Collect zombie teapots? Create spreadsheets to keep up with who's still alive on Game of Thrones? Share a photo or a link and tell us about it. Maybe we can inspire each other.